Whether in Brighton and Hove or anywhere else in the UK, the security of your home is something you should never take for granted. 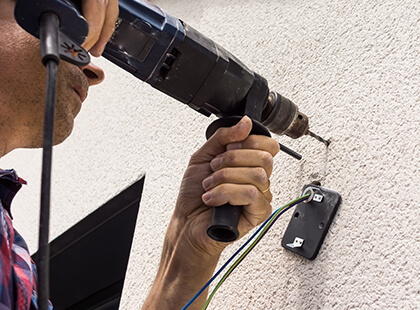 In order to guarantee that your property’s security is sufficient to protect against a variety of intruders, Electrics on Tap are available to provide high quality and efficient Burglar/Intruder Alarm systems. Our Burglar/Intruder Alarm systems are sourced from some of the finest manufacturers in the industry and are capable of significantly optimising the security of your residential or commercial building, throughout Sussex. Get a free, no-obligation quote today on superior quality security systems by using our online contact form. 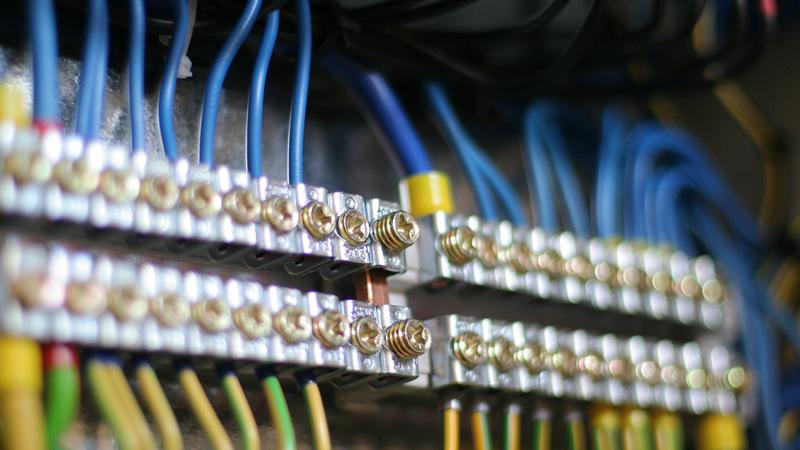 At Electrics on Tap, we specialise in providing a wide variety of electrical services. One specialty for which we are renowned throughout Brighton and Hove is the installation of state of the art Burglar/Intruder Alarm systems. If you are dissatisfied with the current security situation of your premises, one of our expert technicians can evaluate your property and recommend a suitable intruder alarm system that’s capable ofoptimising security. We have a variety of Burglar/Intruder Alarm systems available which we can install in your residential or commercial property for enhanced security.Our specialists can install the alarm system of your choice quickly and discreetly to provide the level of security you need, as quickly as you need it. Also, because we work with only the finest quality hardware, you are guaranteed that a security system installed by us will last for years, free from problems. This means you can enjoy heightened security nonstop, whether you are on your property or elsewhere. To discover the types of Burglar/Intruder Alarm systems we have available for installation, call us today on 01273 723600. 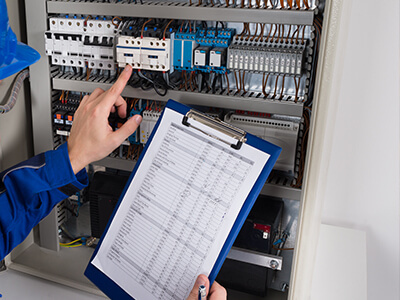 If you are dissatisfied with the current security situation of your premises, one of our expert technicians can evaluate your property and recommend a suitable intruder alarm system that’s capable ofoptimising security. We have a variety of Burglar/Intruder Alarm systems available which we can install in your residential or commercial property for enhanced security. Our specialists can install the alarm system of your choice quickly and discreetly to provide the level of security you need, as quickly as you need it. Also, because we work with only the finest quality hardware, you are guaranteed that a security system installed by us will last for years, free from problems. This means you can enjoy heightened security nonstop, whether you are on your property or elsewhere. To discover the types of Burglar/Intruder Alarm systems we have available for installation, call us today on 01273 723600. In the event you are uncertain about what type of Burglar/Intruder Alarm system will provide the level of security you need, we have specialists who can provide all the information you need to make a well-educated decision. By providing this service, you can choose a system that possesses all the security features, capable of satisfying your needs. Would you like to talk to one of our friendly security system experts today? Please call 01273 723600 now. If you’ve already installed a Burglar/Intruder Alarm system, but it has failed to deliver as expected, we have a team of experts that can provide maintenance and repair services to get your security system back online. A faulty or improperly installed security system is very unsafe and can leave you vulnerable at the moment you need it most. To avoid such a scenario, we can help you fully restore the capability of your security system or recommend upgrading to a more reliable one. As part of our repair services, we are also available to provide regular testing and maintenance services to your Burglar/Intruder Alarm system to ensure its optimal performance at all times. Our goal is to help you ensure that your home or commercial establishment is never without the amount of security it needs. Contact us now on 01273 723600 for fast and reliable Burglar/Intruder Alarm system repair services in Brighton and Hove, as well as the wider Sussex area. Electrics on Tap have been in operation for several years now. In that time, we have made a name for ourselves by consistently delivering on high quality services that leave our customers wholly satisfied. We have worked with a variety of customers over the years, including landlords, tenants, business owners and contractors. No matter the size or type of your property, be assured that we have the skills and competence to reinforce its security with a superior quality burglar/alarm system. Our services come highly recommended by many of our clients and we are NICEIC approved. Proof of our high industry standard can also be seen in the high ratings we enjoy on Checkatrade.com. Furthermore, our technicians are highly trained and very polite. When they visit your premises, you are guaranteed that the services you require will be delivered without compromising your convenience and completed quickly, so you can begin enjoying your newly secured home or office as soon as possible. Our Burglar/Intruder Alarm installation and repair services are available 24/7, so you are guaranteed the services you need, whenever you need them, including at times of emergency. Whatever the time, give us a call on 01273 723600 to get the service you need, fast. We want you to have the quality of services you need, without cost being an issue. This is why we offer competitive prices to all our Brighton and Hove clients across a wide range of services. Electrics on Tap can provide a high quality Burglar/Intruder Alarm system at a great price and have it installed for you in no time. Regardless the size of the installation project or repairs, be assured that we can provide you reasonable prices that are well within your budget. Get a free no-obligation quote from us today by making use of our online form. 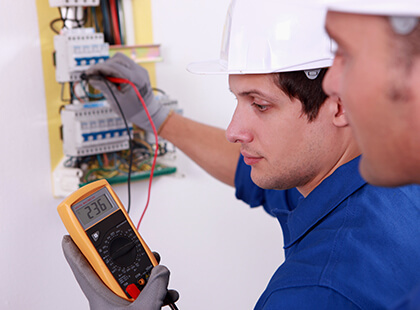 Electrics on Tap also provide free consultation for electrical inquiries in Brighton and Hove. Stop gambling with the security of your property today by having us install a state of the art Burglar/Intruder Alarm system that is more than capable of ensuring full security. Our services are available 24/7 throughout Sussex, so you can contact us on any day, at any time to get the service you need. We will provide a high value service that compromises neither quality nor efficiency. Complete our online form now for a free quote or give us a call on 01273 723600 to arrange for one of our specialists to visit your property at your convenience.